That’s how Liten Buffel co-owner and winemaker Zack Klug describes Quast Vineyard — where the fruit for his Liten Buffel 2015 Quast Vineyard Pinot Noir ($35) was grown. 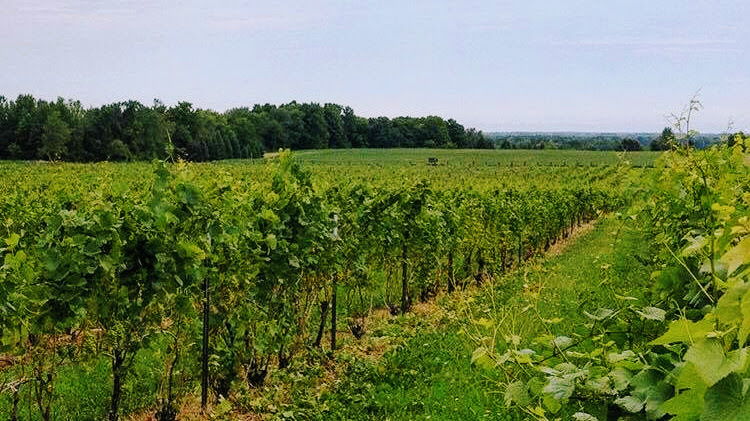 Located in Cambria, New York within the Niagara Escarpment AVA, the Quast Vineyard features clay loam soils (Rhinebeck, Ovid and Hilton for the real soil nerds) over limestone, on 7-15% slopes facing Lake Ontario. Part of the former Warm Lake Estate, it’s also one of Niagara’s oldest Pinot Noir plantings. It’s a symbol of what was, what can go wrong and what could still be. That history is another reason that Klug wanted to work with the fruit. “It might be the vineyard’s troubled past, or its near-perfect view, or maybe even the old railroad ties that serve as end posts, but I’m not the only one drawn to this site. There is something else there. It’s a testament to the capabilities of Niagara Pinot Noir,” he says. The only other winery making Quast Vineyard Pinot Noir is its owners at Freedom Run Winery, but the wines are strikingly different. While the Freedom Run wines off the vineyard tend to be bigger and more tannic, requiring a few years to show their best, Klug prefers to make a lighter, more immediately elegant style — while staying true to the site’s uniqueness. “Our winemaking styles are different enough to showcase the capabilities of this site, but the core fruit and sous bois that this site shows year after year can’t be covered up,” Klug says. Klug knows what Pinot Noir clones are planted in the Quast Vineyard — Dijon clones 115, 667, and 777 — and the ones that he and his partner planted in their estate vineyard last year — Dijon clones 115 and 777 — but he’s more interested in soils than clones. Lots of winemakers talk about their wines being “made in the vineyard” so Klug’s focus on expressing the terroir of the sites he works with isn’t unique, but he’s earnest in his approach to doing just that. As such, he has embraced many tenets of the natural wine movement, with a “nothing removed, nothing added” ideal, only using neutral oak barrels for aging, eschewing filtration and fining and bottling with minimal SO2. Klug hopes to continue to work with the Quast Vineyard, especially because his own vineyard won’t produce quality fruit for at least a couple years. 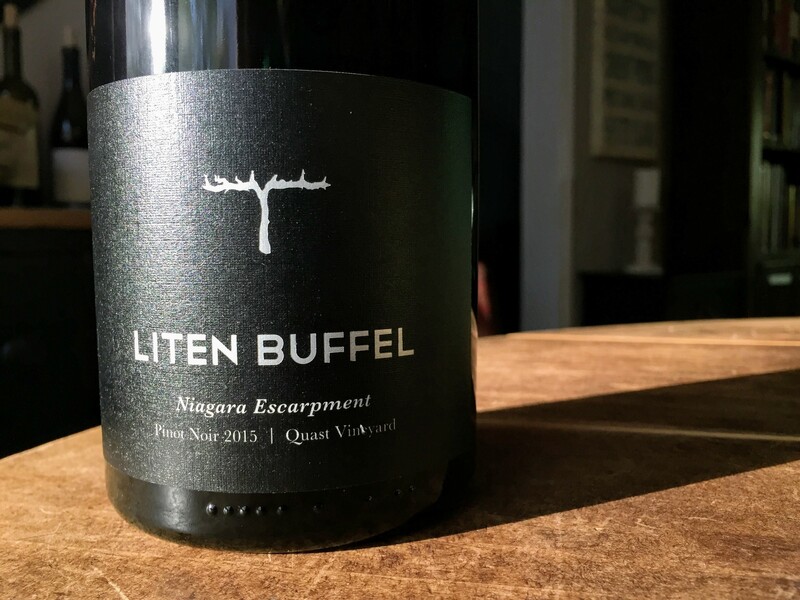 This spring Liten Buffel also released an Alsatian-style white blend and a Riesling — also made from purchased fruit — but it’s obvious that the Pinot Noir program is the focus. It’s the best of the winery’s initial offerings and the one that shows the most promise for the future. “If terroir is a man on a hill saying ‘this is where I’m from” then I want to do that with Pinot Noir,” Klug says. He’s well on his way with this first release. Blood orange and just-crushed cherries dominate a nose that is accented by notes of raw mushrooms, dried flowers and cola. On the lighter-bodied side. Silky mouthfeel with a little grit. Fruit forward with red cherries and cherry skin tannins. Subtle flavors of orange peel, cola and caramel bring complexity. Sultry. Young and tasted its best on the third day open.